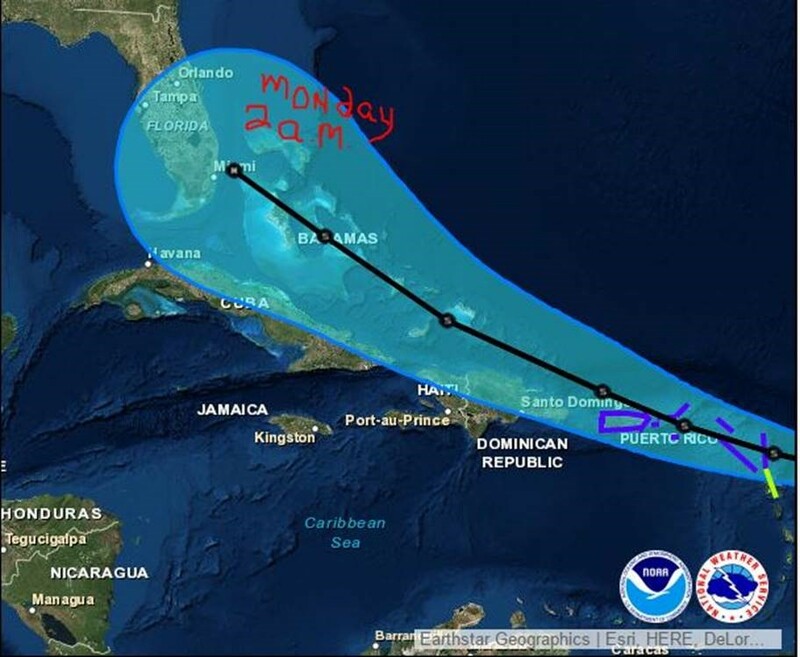 For those of you who have a 2nd place up North or are traveling, you should be aware to make preparations to board up your home in case Tropical Storm Erika becomes a hurricane. According to the National Hurricane Center, forecasters are projecting Erika to become a hurricane on Monday if it does at all. 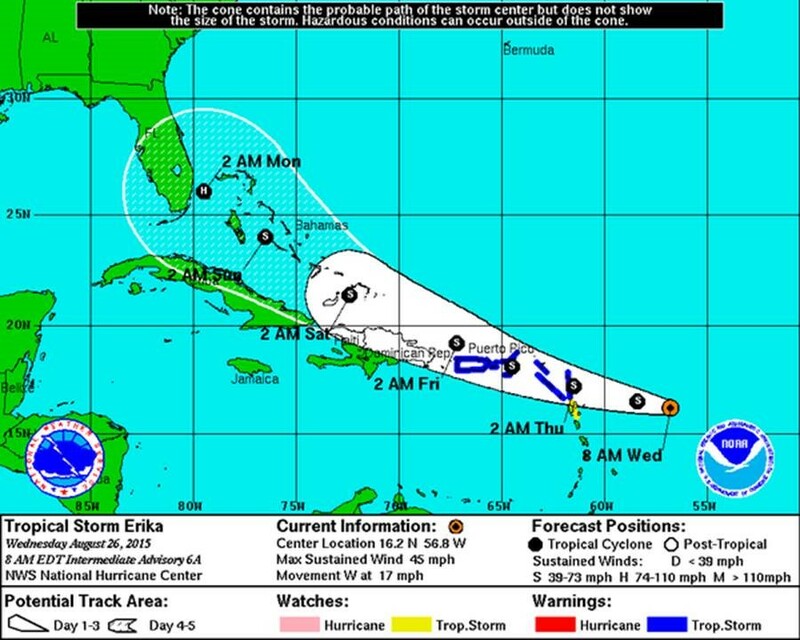 As of today at 11:00 am, the projections are for Erika to have 65 MPH winds as it goes to the Bahamas and 80 MPH (Hurricane category 1) if it reaches land. It’s too early unpredictable if it will strengthen, weaken, veer off track, or dissipate, but as of now Palm Beach County is in the middle of the cone. For those of you who have owned less than a decade when Katrina last hit, it’s best to get supplies and put up shutters a few days in advance, as many people start to rush for things the day before. Feel free to call me if have any questions. We have a larger map on our website and will update when there is something significant to report. Posted in hurricane, real estate, weather on August 27, 2015 at 4:07 am.